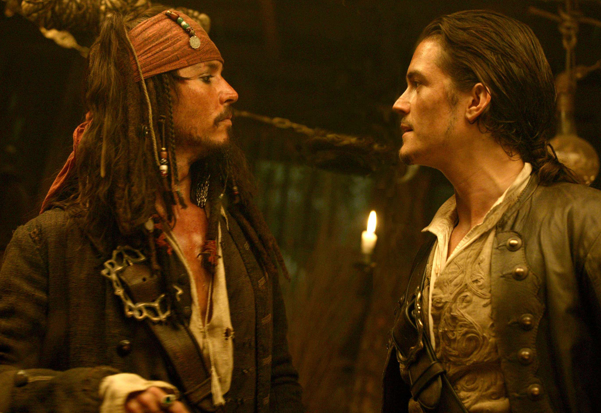 Snippets of Jack: "You Are Well On Your Way to Becoming one"
"You Are Well On Your Way to Becoming one"
In The Pirates of the Caribbean: Curse of the Black Pearl, Jack shares some words of wisdom with Will. 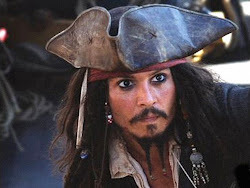 Jack: "You know, for having such a bleak outlook on pirates you are well on your way to becoming one: sprung a man from jail, commandeered a ship of the fleet, sailed with a buccaneer crew out of Tortuga, and you're completely obsessed with treasure." Will: "That's not true. I am not obsessed with trasure." 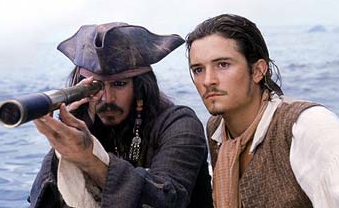 Jack: "Not all treasure is silver and gold, mate." Wow. That's a lot to take in as you're rowing a boat through some mysterious caves. Jack certainly did turn Will into quite the pirate. Well, it was Will who came to pursue Jack in the jail to ask him for help in finding Elizabeth, which brings us to another point. Will's treasure may not be silver and gold, but he is somewhat obsessed with Elizabeth. 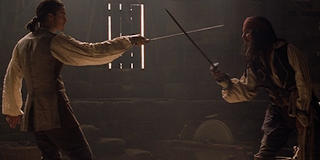 Will Turner used to be a middle-class blacksmith living in Port Royal with a fantasy of someday marrying the governor's daughter and a hatred towards any pirate who landed on the little island. Little did he know that the day he wondered into his shop and found Jack would change the rest of his life. With out Jack, he never would have saved Elizabeth or have been reunited with his father. Although he may not want to admit it, Will's life has changed for the better all because of one crazy pirate: Captain Jack Sparrow.